Tipping Point by Fred Marchant is a collection of poetry broken down into five parts and published by Word Works after winning the 1993 Washington Prize. Readers may wonder what a former Marine Corps Lieutenant and one of the first honorably discharged conscientious objectors would have to say about the Vietnam War, especially having only served two years. This collection is a journey through the memories of childhood, adulthood, and military service, and beyond. Hard slaps and punches to his mother’s face from his father, feeling outcast in school being overweight, and a number of other adolescent anxieties scream from the pages. But the most poignant lines of loss and anguish and even anger occur in his poems of the Vietnam War. However, many of these poems are about inner turmoil and dealing with that struggle on a daily basis. ending in a hypnotic burst of lit yellow napalm. Whether Marchant is discussing family history, struggles with illness, or his service in the Vietnam War, images leap off the page, billowing the smells of sweat into readers noses and making them squirm in discomfort. It is this discomfort the poet wishes for readers to feel as the narrators struggle with their own moral discomfort and struggle to come to terms with their decisions and situations beyond their control. Overall, Tipping Point by Fred Marchant reveals the dilemmas each of us deals with regarding personal, social, and political events, but it also teaches that individuals have a “tipping point” when principles must be take precedence or be set aside. Fred Marchant is the author of Tipping Point, which won the Washington Prize in poetry. He is a professor of English and the director of creative writing at Suffolk University in Boston, and he is a teaching affiliate of the William Joiner Center for the Study of War and Social Consequences at the University of Massachusetts, Boston. This is my 14th book for the Clover Bee & Reverie Poetry Challenge. This is my 12th book for the 2010 Vietnam War Reading Challenge. 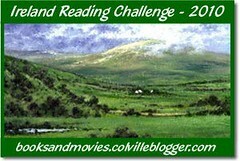 Welcome to the 2010 Green Books Campaign, sponsored by Eco-Libris! The campaign is in its second year and aims to promote “green” books being published today. 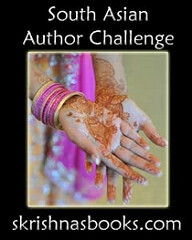 Last year for the first campaign, I read Saffron Dreams by Shaila Abdullah. that whacked and fed your swampy youth. Beautifully, Uschuk demonstrates human love through bird and nature imagery, but she also draws parallels between the destructive nature of grasshoppers on crops to that of humans on the overall environment. There is a light and dark side to love and when love is too intense it can be destructive. like snake skins embossing rough sandstone. spackled with gold stars, tiny and multitudinous as fleas? plaster is the logic that holds. my husband and I cannot stop tearing. crashing, with its load of coal soot, onto our heads. her silver miner sat to slurp her rich soup. the fevered heads of children in distant warring lands. the motion repetitive as prayer. we can never really know. in their webs, awful and light. In this poem, Uschuk reminds us of the gems beneath the surface, like those that hover beneath the surface of words and phrases in stories and poems. The editing process fine tunes and refines the lines to reveal those underlying truths. Many of the poems read like folklore and myths from Native American stories. Overall, Crazy Love by Pamela Uschuk is a collection of poems that explores love and human connection and reminds us that we need to reconnect with nature and the planet, as well as one another. 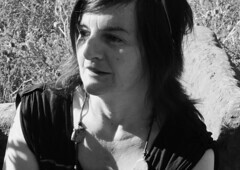 Pamela Uschuk’s work has appeared in over 200 journals and antholgies worldwide, including Poetry, Parnassus Review, Ploughshares, Nimrod, Agni Review, Calyx, and others. Her work has been translated into nearly a dozen languages, including Spanish, Russian, Czech, Swedish, Albanian, and Korean. 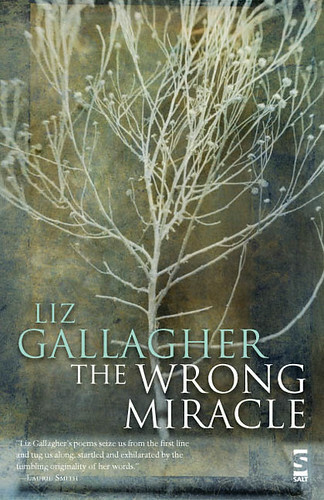 Her Wings Press titles include Finding Peaches in the Desert (book and CD), (out of print), Scattered Risks and , which won the American Book Award (Sept. 2010). Among her other awards are the Dorothy Daniels Writing Award from the National League of American PEN Women, the Struga International Poetry Prize, and the ASCENT, IRIS and King’s English prizes. Uschuk also writes and publishes nonfiction articles and has been a regular contributor to journals such as PARABOLA and INSIDE/OUTSIDE. In 2005 she gave up her position as Director of the Salem College Center for Women Writers in North Carolina to become Editor In Chief of Cutthroat, A Journal of the Arts and to conduct poetry workshops at the University of Arizona Poetry Center. In 2006, Uschuk was a featured writer at the Prague Summer Writers Workshops, the Meacham Writers Conference and the Southwest Writers Institute. She makes her home in Tucson, Arizona, and outside of Bayfield, Colorado, with her husband, poet William Root. To check out the rest of the Green Books, please visit the campaign Web site beginning at 1 p.m. EST. I’m a rebel, what can I say! 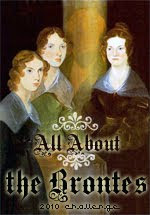 This is my 54th book for the 2010 New Authors Reading Challenge. This is my 13th book for the Clover Bee & Reverie Poetry Challenge. Kevin Bowen‘s Playing Basketball With the Viet Cong is his first collection of poems and they focus on his memories of the Vietnam War. Although there are moments of brutality and horrifying images, many of these poems intend to infuse the enemy with humanity — whether that enemy is a U.S. soldier or a member of the Viet Cong. In a way these poems diverge from other war veterans’ writings in that rather than attempt to sort through mere emotional trauma, Bowen seeks to draw parallels between two nations that were once at war with one another and highlight their similarities in a way that will generate peace and forgiveness. Bowen’s lines are sparse, but use each word to its fullest potential to provide a sensory overload, much like the one he may have experienced in Vietnam himself. Readers will hear the bombs hit the ground and feel the anxiety of the soldiers as each poem unfolds. How did these soldiers ever “feel at home” in the jungles surrounded by the enemy? Did they live in constant fear as the adrenaline pumped through their veins? searching the sky where already you’d disappeared. Everything, even in war is connected and on some level the soldiers killing the Viet Cong were in a way killing themselves — little by little. Not all of Bowen’s poems are from a soldier’s perspective, with poems narrated by a female voice, perhaps a wife, dealing with the far off glances, the silence, and the nightmares her lover experiences. Readers will enjoy the wide variety in Playing Basketball With the Viet Cong, which strives to pull to the forefront the humanity in everyone and find a common ground from which each side can begin anew. as they kiss the tubes good-bye. On good nights they walk them in. a lover’s name on a beach along Cape Cod. presses down on the back of a knee. In a moment, it’s over. you took as you dove. the ways they stare through the windows in silence. Kevin Bowen was drafted at age 21 and served in the 1st Air Cavalry Division in the Quang Tri Province near the DMZ (demilitarized zone) and the Tay Ninh Province in Vietnam from 1968-1969. He is a 1973 graduate of the University of Massachusetts Boston. A former Danforth Fellow and Fulbright Fellow at New College, Oxford, he earned his Ph.D. in English Literature from the State University of New York at Buffalo. He worked as an aide and speechwriter for Lt. Governor Thomas P. O’Neill, III prior to becoming director of the Veterans’ Upward Bound Program at Umass Boston in 1984 . He was appointed co-director of the Joiner Center in 1984. Playing Basketball with the Viet Cong, his first collection of poetry, was published by Curbstone Press in 1994. His poems have appeared in Agni, American Poetry Review, Boston Review, Ploughshares Press, Prairie Schooner, TriQuarterly, Witness and other places. This is my 9th book for the 2010 Vietnam War Reading Challenge. This is my 12th book for the Clover Bee & Reverie Poetry Challenge. Twelve Moons by Mary Oliver is her fourth collection and as always nature is front and center. But above all this collection is about transformation and by extension the journey of life. Parallels are drawn between the grief humans feel and the changing seasons and the self-confidence of nature as it is seen in humans as mere glimpses or slivers of the moon. Oliver’s love of nature and awe of it transcends her lines and these pages, tapping into readers’ sense of childlike wonder about the world. It reminds us that there is a greater world beyond the meetings, the email, and the stress of our lives — a world where things can just be and live. Beyond the sense of wonderment is an air of caution about how we interact with this natural world and how we are at times the enemy. Like the mysterious phases of the moon, Oliver’s poems often take on a mystical quality, blurring the lines between reality and dreams. Is her father the explorer he always dreamed he would be? Do the fish feel the same way about children that humans do? Twelve Moons is a collection dealing with immortality, nature, and our place in and against it. Oliver’s poetry is enjoyable on the surface and as deeper meanings are sought upon multiple readings and even immediately. Beginning readers of poetry would have little trouble understanding her lines and easily find correlations to their own lives. An excellent collection, and one of the best I’ve read this year. This is my 11th book for the Clover Bee & Reverie Poetry Challenge. As part of the Graywolf Press — one of my favorite small presses that publishes poetry and fiction — Spotlight on Small Presses (click on the badge at the bottom of the post for the tour stops), I chose a poetry book to review, which I picked up at the 2010 Book Expo America. Unincorporated Persons in the Late Honda Dynasty by Tony Hoagland is his first collection of poems in 10 years, according to the Graywolf representative at the expo. The collection features poems that call into question the realities of the modern world from our dating rituals to our trips to the mall food court. that is an interesting moment. One pair of eyes is lowered. humbles themselves without even having to be asked. which are provided for guests to steal. Hoagland’s crisp language and vivid imagery is deftly weaved with philosophical and societal questions we all should be answering or at least asking. Has modern society twisted our culture into something worthwhile or is it something that should be tossed in the trash as a bad experiment. However, there are moments of humor and deep sarcasm throughout the volume that offset one another to make readers ponder what the poet really desires from the modern world. Readers will come away from the collection with a new focus on examining society and their part in it –whether they decide to continue assimilating is up to them. Unincorporated Persons in the Late Honda Dynasty is a thought-provoking collection that urges readers to be unique and to think outside the box. This is my 9th book for the Clover Bee & Reverie Poetry Challenge. 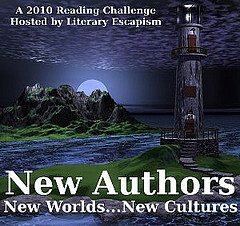 This is my 38th book for the 2010 New Authors Reading Challenge. Yusef Komunyakaa‘s Dien Cai Dau is another collection of Vietnam War poetry. The poet, who received the Bronze Star and edited The Southern Cross, dedicates this book to his brother Glenn, “who saw The Nam before” Komunyakaa did. His poems put the reader in the soldiers’ shoes, allowing them to camouflage themselves and skulk around the jungles of Vietnam from the very first lines of “Camouflaging the Chimera.” Beyond skulking in the jungle, hunting the Viet Cong, Komunyakaa discusses the weight of war as soldiers trudge through the landscape with their equipment and what they’ve done and seen. Weaving through the tunnels looking for the enemy or searching the thick forest, soldiers are constantly reminded of their emotional and physical burdens, though they find joy in some of the smallest moments. Beyond the nature imagery and the immediacy of the war, some of these poems have an analytical quality much like a general planning out the battle moves. Each move of the soldiers is reflected in the carefully chosen words and lines, and the effect is genuine, creating a suspense and fear readers would expect soldiers to experience. Spiders mend webs we marched into. burn through the dark-green day. to move like trees move? The point man raises his hand Wait! The lieutenant’s right hand says what to do. We walk into a clearing that blinds. Dien Cai Dau by Yusef Komunyakaa is an excellent collection that will allow readers to join the fight in Vietnam, feel the fear and anxiety of soldiers, and see just how many enemies soldiers faced — the Viet Cong and the jungle. Komunyakaa is a poet with incredible insight from propelling emotions off the page through images to using carefully chosen words and phrases to vividly paint the scene. Dien Cai Dau is one of the best poetry books about the Vietnam War and often reads like prose. 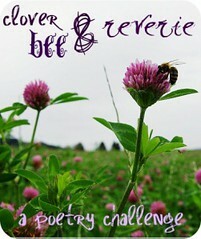 This is my 8th book for the Clover Bee & Reverie Poetry Challenge.